Becoming debt free is often listed as a notch on the belt of financial progress. It’s widely discussed, admired, longed for, celebrated, and even praised by so-called financial experts. But, paying off debt may be risky or even altogether unnecessary. In fact, you’re probably not in debt in the first place! We want you to be debt free, but you first have to know what that means. Many confuse being debt free with being liability free. Before you decide whether to add becoming debt free to your checklist, let’s get the skinny on what debt is. Then, you can take action that gives you the most certainty, control, and peace of mind. Will a debt-free goal help or hurt me? More importantly, to reach my goals, gain confidence, peace of mind, time and money freedom, what should I do about debt? This conversation will help you develop a big picture perspective of a balanced personal economy. Rather than spiraling out of control, you’ll gain control, options, and increased financial capabilities. Let’s face it; most people fear debt. They feel it’s an encumbrance or ensnarement that nullifies their goals. If it was in a game of Taboo, it’s almost a dirty word that lives with other deplorable financial conditions, like losing money, bad credit, foreclosure, and bankruptcy. Why does debt strike at the chord of our financial aspirations so much so that ringing the debt-free bell seems like such a milestone? Often families start off saddled in student loan debt. Because there’s not much cash, they add car loans, a mortgage, and credit card debt to achieve their lifestyle. They work a job to pay it off, while also balancing buying a house and saving for their future. But the more debt you have, the harder it seems to pay it off because you feel tighter each month. The debt seems like a slippery slope that can easily have you feeling that forward progress is all but impossible. To be debt free might seem like the best way to get back on track. Maybe looking at the debt payments each month is an arrow to the heart, reminding you of past mistakes. To be debt free would mean to be free of the pain of guilt. Because a balanced financial life seems unachievably complex, looking at it one piece at a time might feel more manageable and doable. Becoming debt free might be that one step you think you can really accomplish. However, putting all your emphasis on paying off debt can be detrimental when it causes you to lose control and delay your journey to financial freedom. 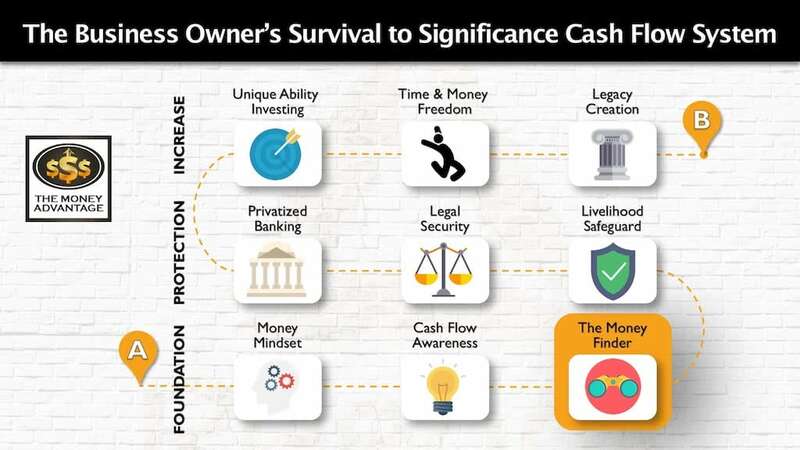 Dealing with debt is just one step in the big picture of the Survival to Significance Cash Flow System. Debt is part of your cash flow in the foundational stage. How you handle debt has the potential to increase or decrease your cash flow and financial control, accelerating or slowing your path to time and money freedom. The more cash flow you have today, the more quickly you can accelerate time and money freedom. To start off the conversation on a high note, you probably aren’t in debt in the first place. At the fundamental level, the stress and anxiety about debt are fueled by a simple misunderstanding of the difference between a debt and a liability. Spoiler alert: a liability is not the same thing as debt. For this conversation, we’ll discuss your financial statements so you can find out what it really means to be debt free. It’s much simpler than it sounds, I promise. Take out a blank piece of paper and draw a line down the middle. On the left side, write assets. On the right side, write liabilities. This is your balance sheet. Assets are what you own. They are the items of financial value that belong to you at today’s fixed point in time. This includes the balances of cash, savings, checking, CDs, money market accounts, precious metals, brokerage accounts, stocks, mutual funds, 401k’s, IRA’s, Roth’s, life insurance cash value, the value of your house, businesses, investment properties, equipment, vehicles, inventory, accounts receivable, etc. Liabilities are what you owe. They are the balances that you must pay to someone else. Liabilities include the balances of your mortgage, HELOC or home equity loan, student loans, auto loans, credit card balances, accounts receivable, business loans, etc.. Your assets and liabilities tell you a story about your net worth. For example, if you had $200,000 of cash, an $800,000 house, $210,000 in investment accounts, a $50,000 car, and investment properties worth $300,000, your assets total $1,560,000. Correspondingly, if you also had a mortgage on your property worth $600,000, credit card balances worth $30,000, and an auto loan of $40,000, you have $770,000 of liabilities. Your $1.56 Million of assets minus your $670K of liabilities equals a net worth of $890,000. If you imagined your assets in one stack, and your liabilities in a second stack, the taller stack wins. With more assets than liabilities, you have positive net worth. You could also call this an equity or collateral position. Conversely, with more liabilities than assets, you have negative net worth. In a battle between the left and right sides of your balance sheet, your liabilities win because they are heavier and more substantial than your assets. This negative net worth is also called debt. Thinking back to simple integer counting from middle school, you could think of assets as positives that increase your net worth. Liabilities are negatives that decrease your net worth. A net worth of greater than 0 is positive net worth. 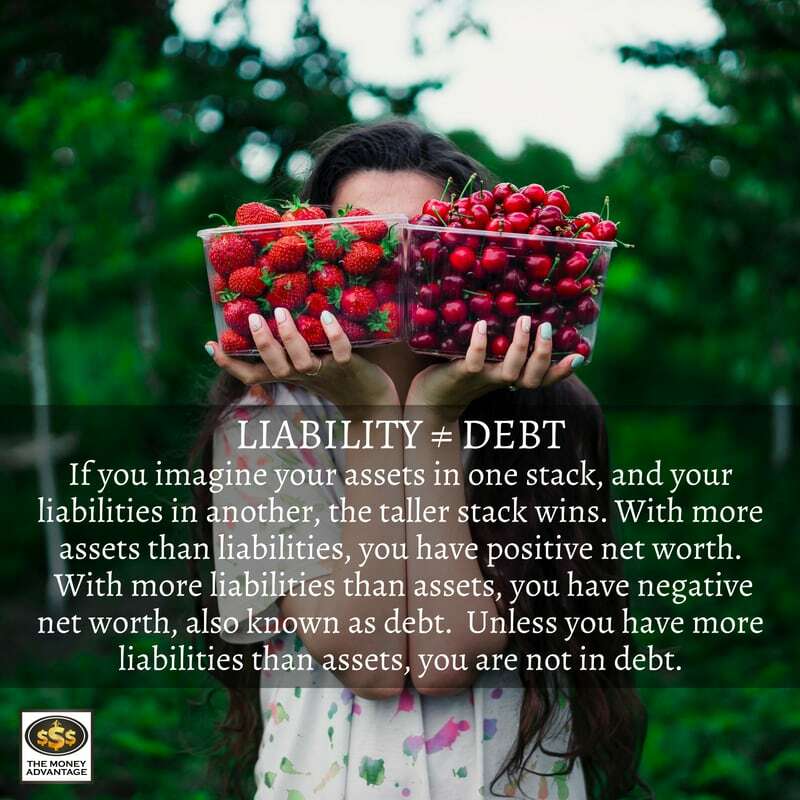 Therefore, if you have a liability, it doesn’t mean you are in debt. You’re only in debt if you have negative net worth, which means your liabilities outweigh your assets. To reiterate, a liability is something you owe, while in contrast, debt is the position of owing more than you own. Where Would the Money Come from to Pay It Off? To think of it another way, if you sold all of your assets, could you pay off the liabilities? If the answer is yes, you have more assets than liabilities, and you are not in debt. You may have loans or liabilities, but you are not in debt. In the previous example, you have positive net worth of $890,000. In this case, you are not in debt, because you could quickly pay off all your loans if you sold the assets, you just haven’t chosen to do so. You become debt free when you reach the tipping point where your assets outweigh your liabilities because you gain the ability to pay off your loans, even if you choose not to do so. However, if you sold your assets and still didn’t have enough to pay off your liabilities, then you have more liabilities than assets, and you are in debt. In this case, the only way you can pay it off is by using future income that you haven’t earned yet. Essentially, you’re borrowing from your future to pay off a past expense, and there’s no guarantee that you’ll be able to do so. Having a loan doesn’t mean you’re in debt. Being in debt means you couldn’t pay off your loans. The real reason loans make people feel restricted is the monthly payments. Let’s turn our attention to your income statement to understand why. Your cash flow resides on another financial statement, called your income statement. Flip over your balance sheet, so you have a fresh space. Draw a line horizontally across the middle. On the top half, write income. On the bottom half, write expenses. This is your income statement. Income is the money you have coming in over a period of time. It’s simplest to think of this in terms of what comes in per month. You may have income from your job, a spouse’s salary, businesses, rental properties, investments, pensions, social security, etc. Expenses are the money going out over that same period of time. This includes everything you spend money on, like the mortgage, insurance, groceries, gas, eating out, Christmas, medical bills, and auto maintenance. Your income and expenses tell a story about your cash flow. For example, if you had $20K coming in each month, and $20K going out in monthly expenses, you would have a monthly cash flow of $0. If you imagined your cash flow like a swimming pool, the hose would be the income, and the expenses are holes in the pool. With more flowing in than draining out, you have positive monthly cash flow. You have something left over each month that isn’t spent. The greater your cash flow, the more freedom you feel each month. You can breathe easier, have more peace and less stress. When you have positive cash flow, you can fill up your pool, stacking up savings (assets on your balance sheet) to use for opportunities (assets on your balance sheet that also produce cash flow on your income statement). But with more draining out than flowing in, you have negative monthly cash flow. If there are too many holes, most of the water will flow right out onto the ground, and you won’t be able to fill up the pool. Each month, you’re using up everything and then some, and there’s nothing left in your pool to show for it. The more payments you have, the more water seeps out, and the less impact the hose has on filling up your pool. Similarly, with too many expenses causing a drain on your accounts, you feel like you can never get ahead. If you want to improve your cash flow, you have two options. You can either increase your income (i.e., get a bigger hose), or you can decrease your expenses (plug up some of the holes so that less leaks out). Your debt-to-income ratio serves as a metric to measure the intensity of your financial pain due to loan payments. This ratio is a measure of your cash flow that’s frequently used by creditors and financial institutions to determine your creditworthiness. It tells how much of your monthly income is used up by fixed payments on loans and other liabilities. To assess your fixed monthly loan payments, add up any payments you make for all liabilities of any type. These are expenses paid at interest to pay down a balance. A list would include your mortgage payment, any HELOC payments, student loan payments, auto loan payments, credit card payments, etc. For instance, a person with a $3,000 mortgage payment, a $500 student loan payment, credit card payments of $2,500, and auto loan payments of $1,000 per month, and a total monthly income of $20,000 would have a DTI of 35%. Sometimes, figuring out which payments to include here is difficult. You may have bills set to autopay that you pay monthly, but which are not liability payments. Bills not included in your loan payments list would be things like your electric bill, cell phone, or tuition payments for your children’s school that do not have a balance and payments at interest. A higher DTI means you have more monthly payments and are a higher risk to the creditor or banks because you’re more likely to default and be unable to make future payments. A lower DTI means that less of your income is designated towards fixed monthly payments, and you’re more likely to be able to make future payments. While there are variations between institutions, the classic, “rule of thumb” ratios are 28% and 36%. This means your housing costs shouldn’t exceed 28% of your monthly income, and your cumulative loan payments shouldn’t use up more than 36%. Among creditors, this ratio determines whether they’ll extend a loan, and what interest rate they’ll charge you. While a loan itself is relatively inert and doesn’t really impact you on a daily basis, its associated payment is quite the opposite. The monthly payment hits your income statement as an expense. It’s this loan payment, not the loan itself, that’s the real pressure point. The payment takes up part of your income and crimps the money you have available to spend on everything else. The bigger the loan payments, the higher the DTI, and the worse the agony. Lessening this tension is the reason people rush to become debt free. Having a lower debt-to-income ratio means you’ll breathe easier and be less financially stressed. More of your monthly income will be available for you to use and control, not earmarked to be paid to a creditor. But becoming liability free isn’t usually the quickest or safest path to reducing that tension and reaching financial freedom. Most people who want to become debt free aren’t actually concerned with the loan balances. What they really want is to be able to ditch their monthly payments so they can be free to use their money the way they want to. To illustrate this point, imagine if you had a $750,000 mortgage with a monthly payment of $1. How motivated would you be to pay that off? So how do you lower your payments, reduce your DTI, and maintain control? The most important thing you can do is to increase your cash flow, today, not sometime in the future. Why cash flow? The end goal is time and money freedom, a position where you’ve increased your cash flow, such that your cash flow from assets equals or exceeds your expenses. With cash flow today, you’ll have more to save each month, and build up capital to invest in cash-flowing assets. However, a debt-free goal uses up monthly resources, shrinks your cash flow today, limits your reserves, and delays financial freedom. How? To get to a more certain future with higher cash flow tomorrow, people often chunk extra change towards their loans today. They feel that if they use all of today’s extra cash flow to pay off loans, they’ll reach debt freedom and arrive quicker at a future with smaller payments, where life will become easier. They’re shrinking their current cash flow to hopefully increase their future cash flow. On your balance sheet, your additional payments reduce the liability, which increases your net worth. If you value tomorrow’s cash flow as more important than today’s, you’ll impair both. 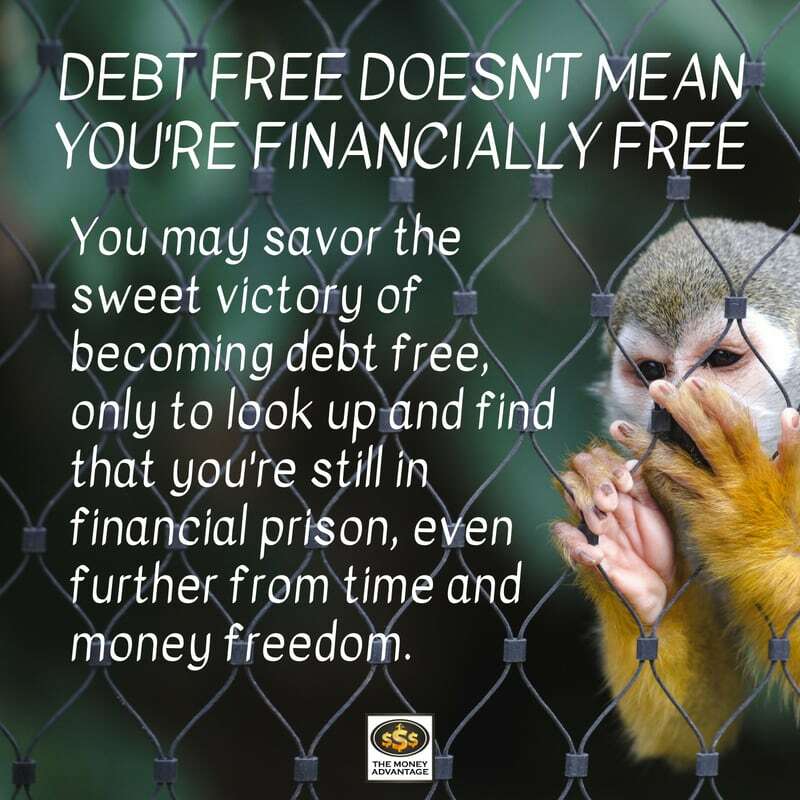 You may savor the sweet victory of becoming debt free, only to look up and find that you’re still in financial prison, even further from time and money freedom. Having cash flow today is vital because it’s what allows you to save and create future cash flow. Instead, here’s how to get to financial freedom more quickly and safely. Instead of feverishly paying off debt, pay yourself extra. Don’t wait until after your loans are paid off to have the cash flow to build assets. Start maximizing your cash flow now. Instead of directing all your extra money each month to paying off loans and putting that money into the past, put the excess cash flow into savings, where it’s safe, compounding, and accessible. In this way, your cash can be used for today and the future. Your specific situation will require an individualized strategy to balance the timing of building capital and paying off loans. If you lost income or had an unexpected expense, you’ll have cash you can use when you need it, giving you options. You’ll increase your net worth by adding assets. You’ll gain the ability to pay off debt, even if you choose not to do so. Let’s look closer at why building reserves is more important than paying off liabilities. Even if you are “debt-free,” you still are not “expense-free,” because you still have monthly payments for gas, groceries, utilities, etc. In an emergency, you want to make sure you can still cover all your monthly expenses. The way to do that is to have a store of cash reserves. If you lost your income or had an emergency expense arise, you have the cash to make payments. Because of this, you’re far safer and more financially nimble if you have cash on hand than if you were in a position of no loans. If you’d paid off all your loans instead of building a cash reserve, and experienced the same emergency or loss of income, you’d find yourself in a precarious situation, with limited ability to recover. When you put money into savings, you increase your assets, and consequently, your net worth. If you choose to build assets with your extra cash each month, it’s important to think through which are the best assets to build and why. Topping the list of high-quality attributes is access to your money. For instance, when you pay down your mortgage, you’re putting money into the four walls of your house. Home equity is not readily accessible, because, in an emergency, the only way you’d be able to use that money would be to qualify for a loan. Alternatively, assets like savings accounts or cash value life insurance offer accessibility. Instead of using extra cash to pay down a liability, using it to build up safe, liquid, and growing assets expands your options. With available cash, you could pay off loans if you choose to. Remember, you become debt free when you gain the ability to pay off your loans, even if you choose not to do so. You could also cover an emergency, or fund an opportunity. 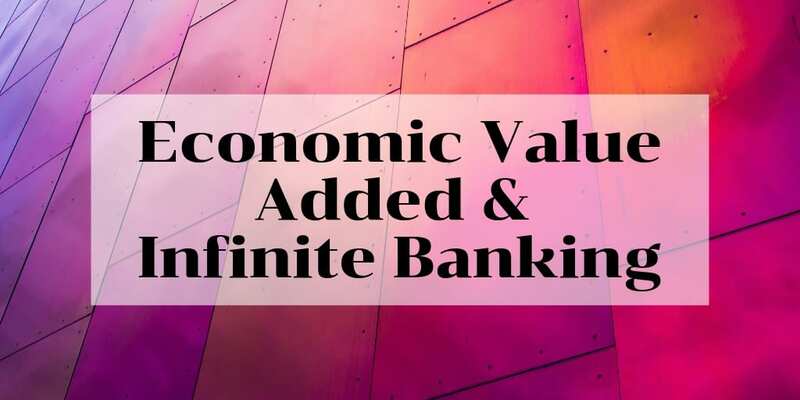 Structured correctly, it may also provide collateral opportunities, growth, a death benefit, and the opportunity to be the bank. Here’s where paying off loans does help you: If you pay off a liability, you eliminate that payment, freeing up cash flow. But don’t make the mistake of paying off debt the way most people do. If you sprinkle around extra money, a little to this payment, a little to that, hoping to reduce them all, you’re wasting your efforts. Before you pay off loans, secure savings. Then save up enough to completely pay off the loan that proportionally frees up the most cash flow first, and then eradicate that liability all at once. 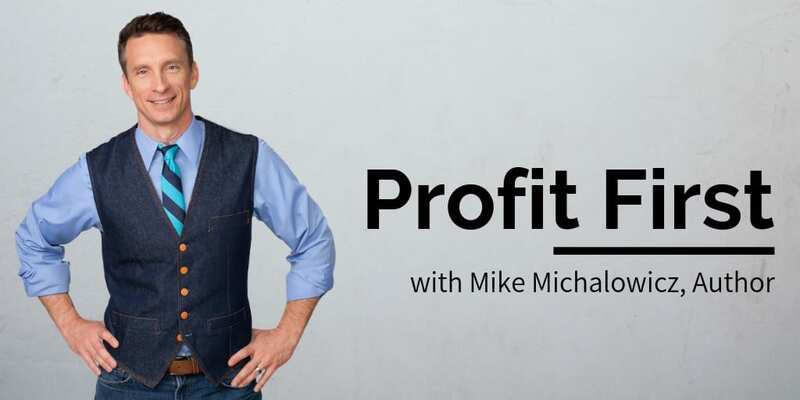 We’ll walk you through this exact strategy to pay off loans in the safest and lowest risk method possible in an upcoming episode of this series. When someone says they want to be debt-free, often they really mean that they want to be liability-free. But in their race to pay off all loans, they end up in a riskier position with limited cash flow and limited cash. All their cash flow is going to pay off loans, and all their cash is paying down loans, rather than building up assets. Financial freedom is the position that you have income from assets greater than your expenses. While lower expenses are an easier position to build economic freedom from, you still need to acquire income-producing assets. Being debt free with no liability payments DOES NOT EQUAL being financially free with cash flow from assets. To take stock of where you stand, take this simple quiz to find out if you are debt free. Do I owe any money to anyone else at interest? If NO, you have no liabilities and are not in debt. If YES, you have a liability. Proceed to Question 2. Do I have assets that could pay this off now? If YES, you have a liability but are DEBT FREE. If NO, you have liabilities and are in debt. Now you have a choice to make. You can either proceed the hard way or the easy way. 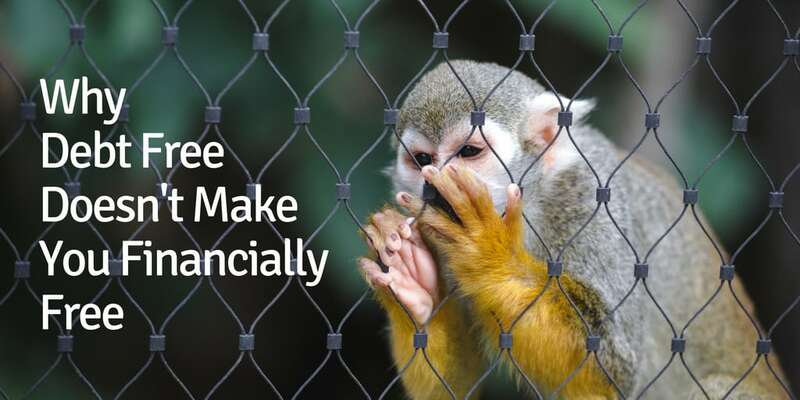 The hard way will waste years delaying or aborting your financial freedom by getting mad at your debt and putting everything extra towards paying it off. The easy way will shave off years of frustration. ← Should I Pay Cash or Finance Real Estate Investments?